Today weddings tend to be very costly and thus a lot of couples cut the expenses by taking over such wedding tasks as planning, decorating, catering and floral arrangements creating. Inexpensive DIY is the sure way to plan your wedding without spending much. However, everything is not as simple as it seems to be and you are going to meet challenges on your way. Besides, it could be stressful since you are still not a professional in the field and it is unlikely that your creations will look just as amazing as the ones by the qualified people. 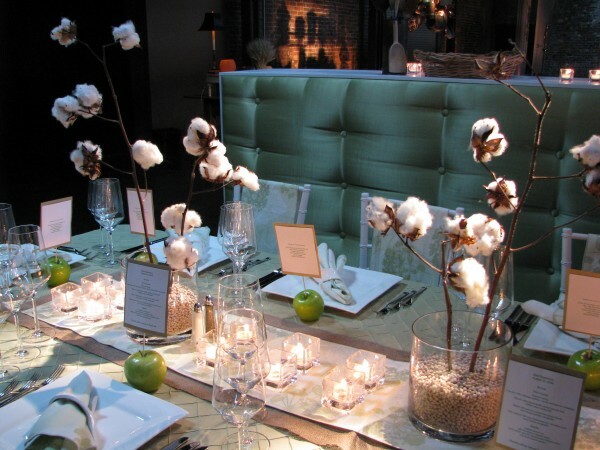 So, we came up with the affordable DIY ideas in order to help you creating the astonishing wedding décor. 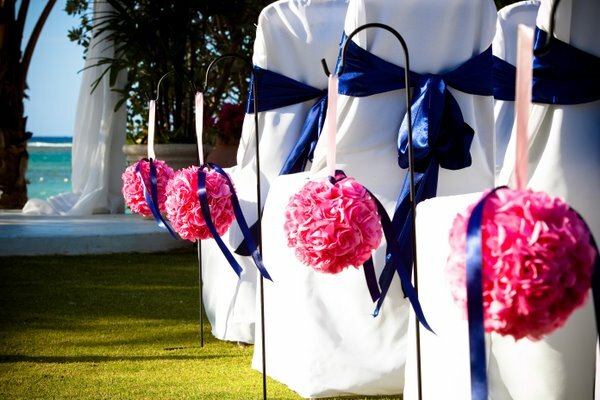 Looking for the simple but yet stunning reception area décor elements, then consider creating the pomanders or pompons. You can use any stiff fabric like tulle or even a craft paper. One of the ways is hanging them hanging from the ceiling using organza ribbon. You may also hang some from the chairs. Since they are not hard to make, you will easily make lots of them, what will allow filling up the space and add the elegant feel to the reception. Crystals have been always associated with magic and fairytale. Hanging crystals are very easy to make. Simply purchase the teardrop or diamond shaped beads from the craft shop and string them from the ribbon to match your overall color theme. You can place them on the tops of centerpiece vases or hang from the ceiling. One of the cheapest ways to decorate your tables is setting the transparent vases filled with pebbles in the matching color as centerpieces. Paint the pebbles using the spray or get some seed beads instead. 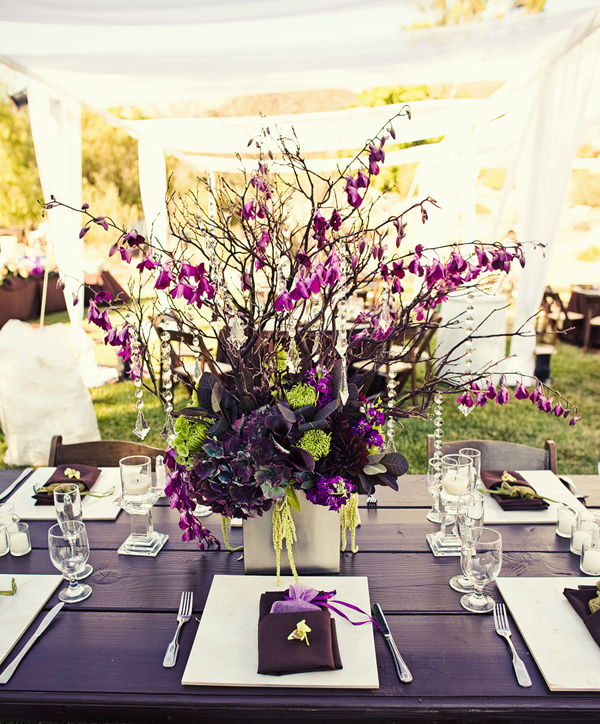 The original DIY idea like this will make your wedding tables pop and add the interesting touch to floral arrangements. The costly flower arrangements could be replaced with the large branches. To add them a glow, use the silver or golden glitter to cover them. You can either utilize them with smaller floral bouquets or hang the sparking crystals from them in order to reach the modern and eye-grabbing look. 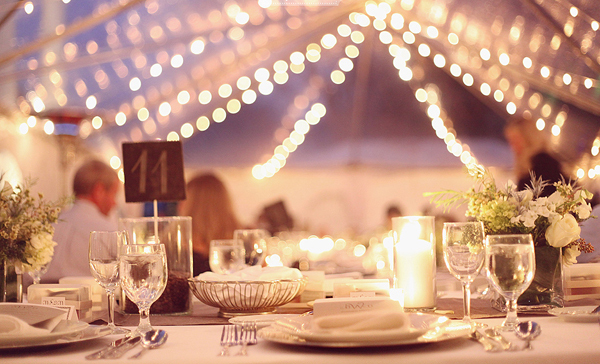 All kinds of soft lighting at your wedding reception will create a nice ambiance. 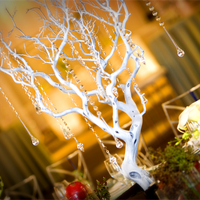 So, instead of having Christmas lights all over the venue, consider doing a small DIY to add the fanciful feel. 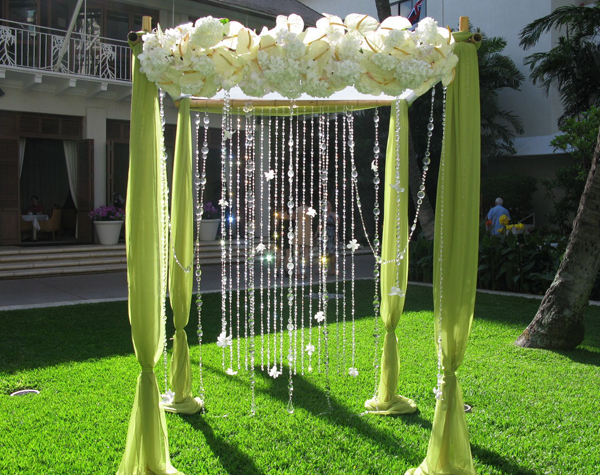 All you need are the strips of the materials like tulle or organza in the white or pastel hues, which you have to tie around the garland of lights among each bulb. Then tie another strip around this garland, but in the contrary direction.